I remember gearing up for my film Mushka. For a while it was all about tigers, and adding to the knowledge I already had about these magnificent cats. 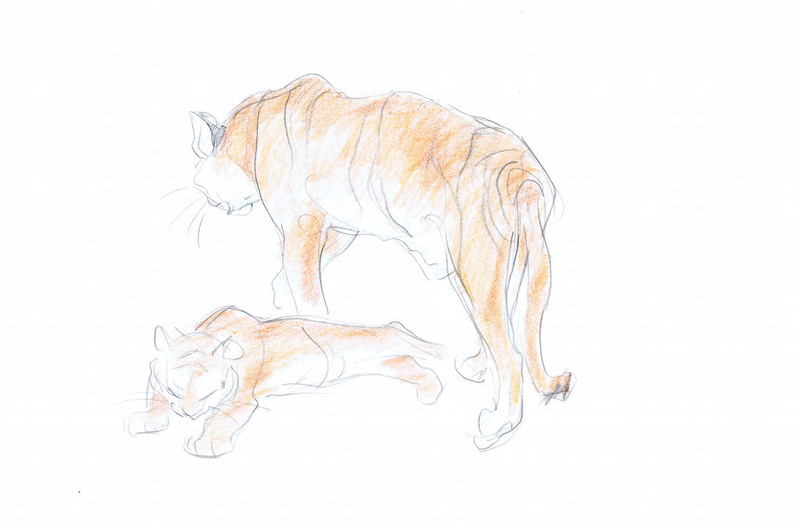 The sketch above was done at the LA zoo, at the time they had an exhibit with a tiger mom and two cubs. Lucky me!! 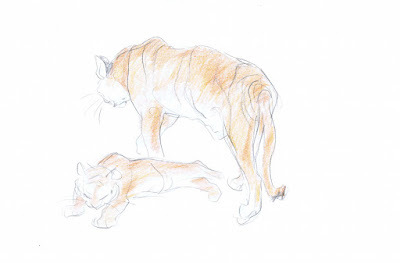 I sketched them as the cubs grew in front of my eyes over a period of a few months. I also took footage to study at home frame by frame. TV nature programs were useful as well. I even studied tiger cub "appearances" on late night shows, David Letterman etc. 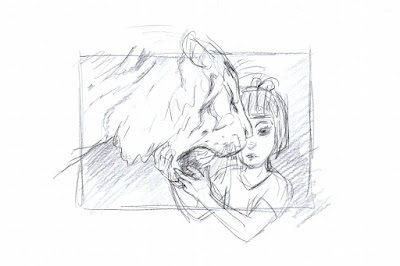 They showed me that restless quality of a tiger cub when held by a human. That definitely made it into the film. You find yourself studying your subject wherever you find interesting tiger behavior. YouTube is wonderful for this. Before animating Mushka yawning, I checked and found five or six extremely useful video clips of a tiger yawn. There is much more to it than the mouth just opening wide and closing. 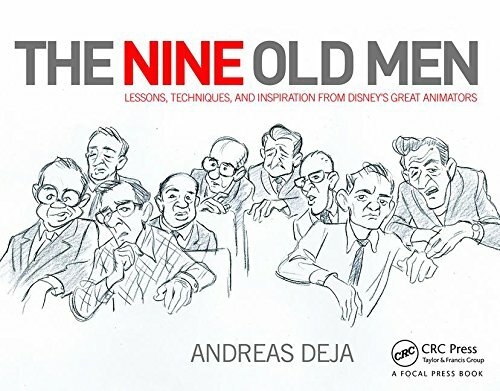 I love studying this stuff. Below is a sketch I made for a possible poster, announcement or whatever. I might use it later or not.